Polina Anikeeva designs, synthesizes, and fabricates optoelectronic and magnetic devices to advance fundamental understanding and treatment of disorders of the nervous system. 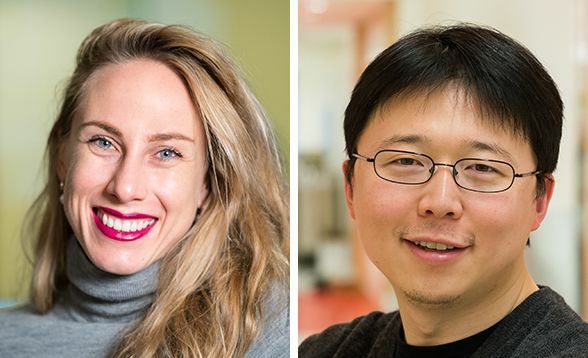 Anikeeva’s lab designs probes that are compatible with delicate neural tissue, but match the signaling complexity of neural circuits. In addition, her group develops magnetic nanoparticles for non-invasive neural stimulation. The ultimate goal of Anikeeva’s research is to better understand, diagnose, and treat brain disorders such as depression, Parkinson’s disease, and spinal cord injury. Together with her Bioelectronics group, Anikeeva develops multifunctional fibers that can deliver electrical, optical, and chemical signals to specified neurons. These flexible probes are also capable of recording neural activity and delivering genes into the brain and spinal cord. Anikeeva also investigates ways of stimulating neurons wirelessly and with minimal invasiveness, using magnetic fields to activate nanoparticles injected into specific regions of the nervous system. Anikeeva applies these tools to study brain circuits relevant to motivation, anxiety, social interactions, and to spinal circuits in the context of recovery following injury. The ultimate goal of Anikeeva’s research is to better understand, diagnose, and treat disorders of the nervous system. Polina Anikeeva joined the McGovern Institute as an associate investigator in 2018, and is also a professor in the Department of Material Sciences and Engineering. She obtained her PhD at MIT in 2009 and was awarded tenure in 2017. She is a recipient of an NSF CAREER grant and DARPA Young Faculty Award among other fellowships. 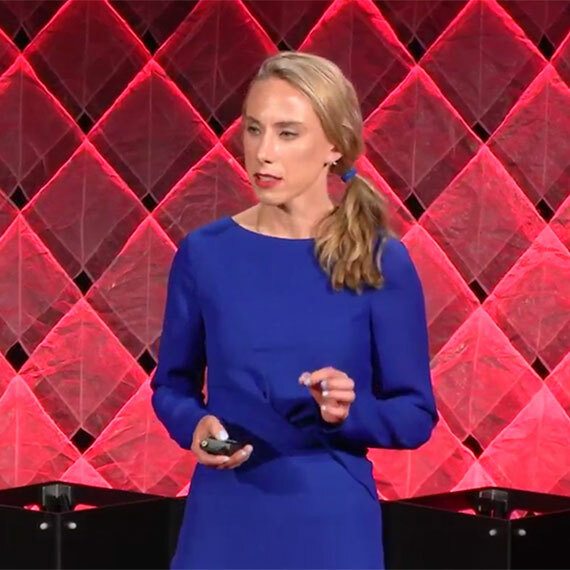 In this 2018 TEDx talk, Polina Anikeeva describes how differences in natural "brain hardware" and solid-state electronics lead to differences between human and artificial intelligence,and what challenges and opportunities stem from those differences. One-step optogenetics with multifunctional flexible polymer fibers. Park, S., Guo, Y., Jia, X., Choe, H.K., Grena, B., Kang, J., Park, J., Lu, C., Canales, A., Chen, R., Yim, Y.S., Choi, G.B., Fink, Y., Anikeeva, P. (2017). Nature Neuroscience 20, 612-619. Wireless magnetothermal deep brain stimulation. Chen, R., Romero, G., Christiansen, M.G., Mohr, A., Anikeeva P. (2015). Science 347, 1477–1480. Multifunctional fibers for simultaneous optical, electrical and chemical interrogation of neural circuits in vivo. Canales, A., Jia, X., Froriep, U.P., Koppes, R.A., Tringides, C.M., Selvidge, J., Lu, C., Hao, C., Wei, L., Fink, Y., Anikeeva, P. (2015) Nature Biotechnology 33, 277–284. Park, S, Frank, JA, Anikeeva, P. Silicon biointerfaces for all scales. Nat Biomed Eng. 2018;2 (7):471-472. doi: 10.1038/s41551-018-0268-0. PubMed PMID:30948826 . Christiansen, MG, Senko, AW, Anikeeva, P. Magnetic Strategies for Nervous System Control. Annu. Rev. Neurosci. 2019; :. doi: 10.1146/annurev-neuro-070918-050241. PubMed PMID:30939100 . Roet, M, Hescham, SA, Jahanshahi, A, Rutten, BPF, Anikeeva, PO, Temel, Y et al.. Progress in neuromodulation of the brain: A role for magnetic nanoparticles?. Prog. Neurobiol. 2019; :. doi: 10.1016/j.pneurobio.2019.03.002. PubMed PMID:30878723 .